The town of Vilna (in Lithuanian, Vilnius, and occasionally also known as Wilna) was founded at the beginning of the 14th century, approximately in the year 1320. Very rapidly, it became a central town in Lithuania, both as its strategic and commercial headquarters. The municipal officers relocated here, and in 1387, the Grand Prince Jogaila gave Vilna autonomy, similar to the autonomy of Magdeburg. According to this bill of rights, the local population had a right to commerce, handcrafts, and positions in the local municipality. Only town residents, however, were granted these rights. By the end of the 14th century, three central Jewish communities existed in broader Lithuania. These were located in the towns of Grodno, Brisk and Trakai. Vilna, however, was nigh on impossible for the Jews to settle in, because only the original residents had rights to commerce and to work there. Nevertheless, some Jews came as guest merchants as well as to work in the public municipality. It is said that the old cemetery in Vilna was built in 1487, although there is no written proof of such. In the year 1527, the local Christian population of Vilna received exclusive rights from the old King Sigmund; according to these papers the Jews were not allowed to be merchants or to live in the region. We may assume from these documents that law was passed after the Jews began settling in Vilna to engage in commerce. The Jews, however, could not let go of such an important administrative and commercial center and kept looking for some inconsistency in the special rights that Christian residents received. Slowly they were able to find such ‘cracks’ in the document and settled legally in the town. The Lithuanian prince Jogaila (at this point also the King of Poland) needed the assistance of certain Jews who were very well-off and knowledgeable in particular fields; in return for their assistance he bestowed upon them rights to manage the mint in Vilna and collect taxes. 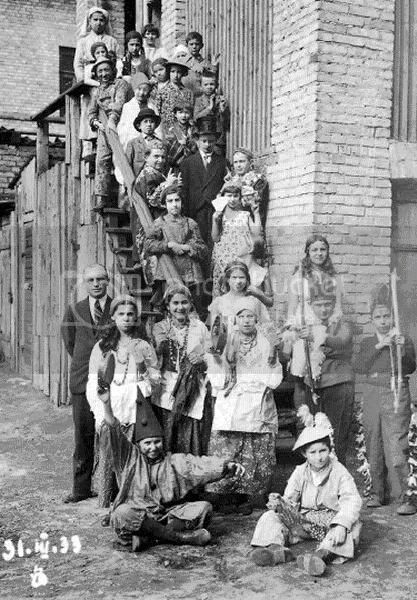 These Jews lived in Wilna legally. In the year 1551, King Sigmund August I of Poland (succeeding King Jogaila) permitted two Jews from Krakow to become merchants in Vilna; he gave similar rights to his Jewish assistants. These Jews were allowed to rent homes, own stores and warehouses, and to barter goods. Such special rights began breaking the rigidity of the old codex from the year 1527, which had banned all Jews from such endeavors. In addition, the gentile nobility helped the Jews in their quest to reverse the old restrictive settlement laws. The Lithuanian Council (Seimas) gave, in the year 1551, special exemption from taxes to Jewish assistants to King Sigmund owning houses in Vilna. Many Jews began to reside in these houses owned by the noblemen, working in stores and other commercial endeavors for the Grand Prince. 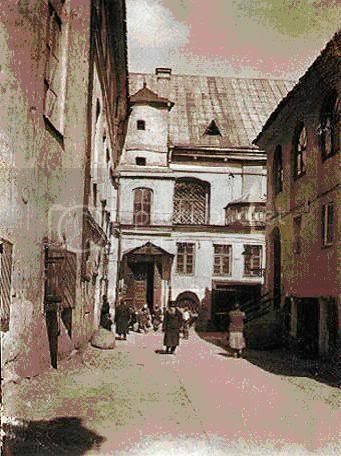 It is thought that they built the first synagogue in Vilna around 1553. Increasingly more Jews moved here, forming a community that economically threatened the gentile population, who feared commercial competition from the Jews. In the year 1592, some of the local Christians staged a small pogrom, destroying the synagogue, stalls, and apartments of the Jews in a street already then named Jewish Street. Using this pogrom as example of Christian hostility, the Jews convinced the King to give them complete legal rights to settle in Vilna. A year later (in 1593), the Jews received from Sigmund III, in a special bill of rights, a permit to live in Vilna. They were granted residence in the homes of the nobility, freedom to practice their religion, and permission to engage in commerce. After some time, Jews also received permission to establish public institutions for their community, such as a cemetery, a bathhouse, and a slaughterhouse. It is only at this point that the Jewish community came to be recognized as fully legal in Vilna. 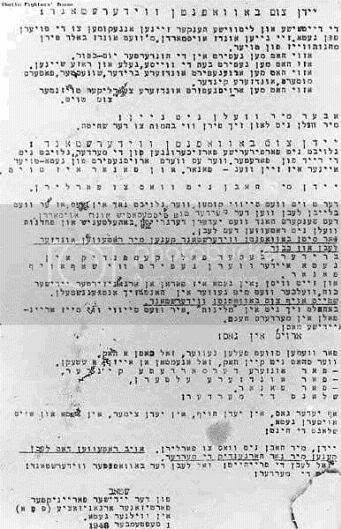 This original bill of rights did not solve all the obstacles that the Jews of Vilna faced in regard to commerce and work. There was nothing in the bill in regard to handicrafts. The Christian population insisted on exclusivity in such work and fought any gap in their monopoly, using even violence and physical force against those Jews who tried to engage in handicrafts. The heads of the Jewish community of Vilna tried to appeal to the King for greater rights; simultaneously, they also asked for assistance from the nobility in receiving such rights. The Jews could easily have been more successful in business and in establishing themselves given the condition of free competition, but they were permitted to have only meager earnings at the time. It was in the interest of the nobility, who wanted to receive cheaper merchandise, to weaken the powerful Christian merchants and aid the ambitious Jewish workers. Thus, in the year 1633, the heads of the Jewish community received a basic bill of rights from King Vladislav IV. The king not only reinstated the rights they had received earlier, but also allowed the Jews to own stores, open craft-stores, and to engage in liquor, leather-goods, and fur manufacturing. Furthermore, they were permitted to purchase and raise livestock in Vilna. This bill of rights contains the first mention of establishment of a small living area for the Jews. The creation of a ghetto was a new concept, designed to protect the Jews and aid them in the case of a pogrom. However, the Jews did not want to be contained in a small area. In the original bill, they were given 15 years to establish a ghetto, but they extended this date continuously. During these years, a few of the most important Jews of Vilna succeeded in establishing a certain freedom of commerce for themselves in Lithuania. The king granted such a bill according to the wish of the nobility. The new bill ran as follows: (1) Jews are allowed to open 12 stores whose fronts open onto Jewish Street. In these stores, the Jews are allowed to sell various merchandise. This right is valid for ten years. Certain merchandise will be limited. For example, liquor is only permitted to be sold to the Christians in mass quantity (not for individual sale). (2) Jews are permitted to have professions only where there is no Christian competition. In other crafts, they are only allowed to pursue the craft to satisfy their own needs. (3) The area designated as the ghetto, will be enlarged. Jews need pay no tax to the local municipality but are required to pay state tax. In addition, they must pay a yearly sum of 300 Zloty, which, during wartime, is increased to 500 Zloty. The local gentile population greatly opposed this bill, and in the year 1634 (and again in 1635) they carried out pogroms against the Jews, destroying the Jewish cemetery and the synagogue. The investigative committee appointed by the king to examine the details of these pogroms did not succeed in finding the locals guilty of these crimes. They reported that the pogroms were carried out by anonymous vandals, and appointed the local municipality responsible for defending the Jews. In consequence of the pogroms, the Jews were allowed to construct gates guarding the streets they settled in. To compensate the Jews for their losses, the municipality permitted them to sell liquor in twenty homes instead of the previous twelve. The yearly taxes to the municipality, however, were increased to six hundred Zloty. Once again, Jews were permitted to operate their stores for ten upcoming years. Before much time passed, the Jews were able without much tribulation to receive an extension on this store ownership, in spite of the bitter opposition of the local Christian population. In 1645, the town of Vilna published statistics about local Jews. The leaders of the community walked through the ghetto and several neighboring streets, registering each house containing Jewish residents and those houses that were for sale. This highly imprecise census found that there were 262 Jewish families living in the ghetto. If we estimate that each family was composed of five people, we may assume that there were 1310 Jews living in Vilna at the time. Since most of the Jews lived in the concentrated area aforementioned, the census did not take into account those living under the fortress (in Lithuanian, vyskupija). Taking this into consideration, we may more accurately estimate that there were in reality around 3000 Jews living in Vilna at the time of the census. In contrast, there were around 12000 Christians living here at the time. Originally, the rulings of the 1650s did not affect the Jewish community of Vilna directly. Eventually, however, the changed conditions that affected the Jews of southern and eastern Poland began to affect the economic situation of Jews in Vilna as well. 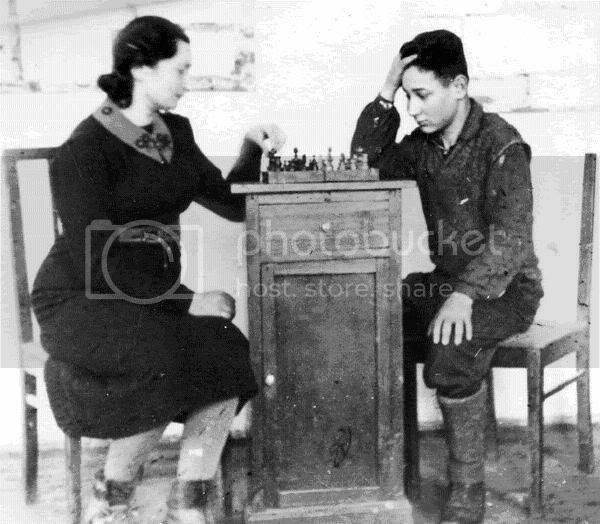 The Jewish refugees that came now to work in Vilna increased the number of people competing for work. The original Jewish loaners of money now became needy of money themselves. The heads of the Vilna Jewish community borrowed large sums of money from Jesuit priests, giving them rights to their homes and membership to their synagogue. In 1655, troubles overcame Vilna. The Muscovite army invaded the town and most of the community fled, traveling to Zamut and from there to Prussia. On the border of Prussia, the refugees encountered the Swedish army that had invaded Poland. While the Swedish army demanded certain levies, the Russian army that had invaded Vilna killed many of the Jews and burned the town. 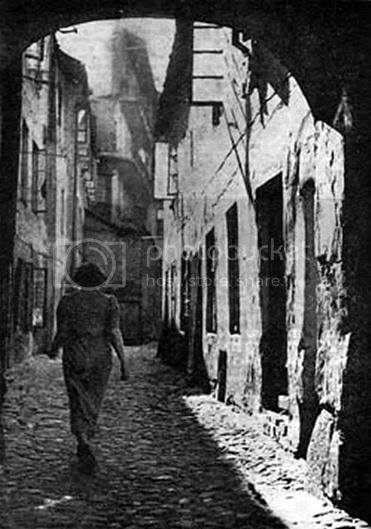 The fire lasted seventeen days, and the Jewish quarter was burned to the ground. Destruction of the community lasted until the Polish army liberated the town in 1661. The local Jews then returned to the area and began to recreate their community. The reestablished Jewish community of Vilna was very poor and needed much assistance. The kings of Poland helped these Jews by giving them license to rent apartments in all areas of the town and to sell tax-deductible liquor. They also extended the Jews’ loans, decreasing the amount of interest owed. In addition, they gave Jews more permits to own stores opening onto non-Jewish streets. The local Christian population, however, once again fought against this assistance of the Jews, wishing to rid themselves of any professional competition from the Jewish merchants and craftsmen. They continued to file complaints regarding the Jews to the judicial system, sometimes taking the law into their own hands by molesting and hindering Jews. Still, a compromise had to be reached, and the Christians granted the Jews a limited amount of rights. This trade conflict was exacerbated after the establishment of Christian trade unions that placed very strict limitations on Jewish tradesmen. 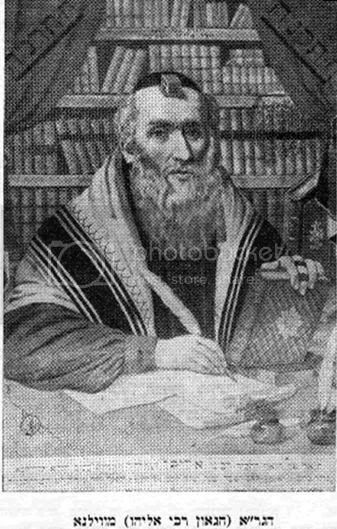 After Jews complained to King Michael Wisniowiecki, he issued an order wherein it was restated that, according to the ruling of 1633, Jews were permitted to engage in all trades and crafts that were not under Christian monopoly that year. Such crafts included fur-trading, embroidery, and glass-blowing. The Christian trade union reached a compromise with Jewish tradesmen by limiting the numbers of Jews allowed into particular professions and by exacting dues from those practicing certain professions. In consequence, the Jewish tradesmen organized their own societies to protect their business interests. According to the ruling, Jews were allowed to enter only one Christian trade union – that of the barbers. Despite this skewed compromise, occasionally the local Christians would organize assaults on the Jews of Jewish Street. The various Polish kings, however, attempted to defend the Jews. Such assaults mainly caused destruction of personal property, although a few Jews were killed in these incidents. During the end of the 17th century and the beginning of the 18th, the Vilna area experienced many hardships: wars, starvation, fires, and epidemics. During the Great Northern War (1700-1721), both the Swedish and Russians entered Vilna, exacting fines and demanding taxes of the residents. The Jews, too, had to pay large sums of money to the incoming armies during the years of 1702 to1706. In result of the war, the years between 1708 and 1710 saw starvation in the area, culminating in 1710 with an epidemic killing many in the town, amongst them Jews. Many large fires followed, some of them spreading in the Jewish quarter. Fires in the years 1737, 1748, and 1749 leveled the synagogue and Jewish public institutions. Despite the difficulties of the Jews and others at this time, the Christian population never stopped fighting for exclusive rights. In the year 1713, many trials were held incriminating the Jews. The leaders of the Jewish community, however, prevented the resulting judgments and sentences from being carried out. In the year 1738, King August III issued the Jews a new bill of rights for the coming twenty years, allowing them to once again own stores and sell hard liquor. Once more, the Christian population fought these rights bitterly. The municipal authority sued the Jewish community in the court of the king, the primary complaint being that the Jews had deceived the king. These gentiles tried to reestablish the rules discriminating the Jews that had been set forth over a 100 years previously and in 1740 they received a judgment in their favor. This judgment was based on that of 1527. Accordingly, the Jews were no longer permitted to reside in Vilna. Many left the town before the end of the trial, contributing to the biased nature of the verdict. Thus, the Jews of Vilna faced exile yet again. The Christians attempted to evict the Jewish merchants and craftsmen from the town. However, the minister of the region came to the help of the Jews, establishing a committee to examine both sides of the issue and reach a compromise. A long and tortuous debate began. The side of the Christian townspeople prevailed, and the Jewish community saw no choice but to sign a compromise that was very biased. This compromise delayed the ruling of 1740 (stating that Jews must leave the town because they had deceived the king) but did not fully abolish it. In light of the compromise, the entire Jewish community became responsible for each Jew who disobeyed its rulings. In this way, the contract ultimately became very helpful to Jewish commerce. Nevertheless, Jewish tradesmen ignored the ruling at the time it was issued, opening large stores with fronts that faced non-Jewish streets. They continued selling what they wished and taking part in whatever crafts they specialized in, and even going so far as to enlarge the area of the prescribed Jewish settlement. When the municipality realized that the Jews were not acting according to agreement, they renewed the battle against them. The Jews began defending their position, fearing exile. Their strategy was offensive, and in the year 1756 the judicial code of the king decreed that the contract from the years 1742 was valid. In a sense, the Jews had prevailed, although they were very limited by this contract. In the year 1783, the trade unions and leaders of the Jewish community arrived at the courthouse of the king. Among the heads of the community, Arie Leib Myetes’ was very efficient at this task, finding an ally in the assistant to the counselor, Joachim Harptovic, a very educated and enlightened man. Working with him, the ultimate judgment was made in the spirit of progress and liberation. It established new rules concerning the ghetto, stating that Jews need not live in a limited area of the town, as their number had greatly increased and the three narrow streets designated to house them a hundred and fifty years ago were no longer sufficient (these streets still remain under the names of Zhydu, Sv. Mykolo, and Mesiniu Gtv.). Now they were allowed to reside in all areas of the town with the exception of two streets (from the gate of Ostrabrama to the Christian cathedral and from the Trakai gate to the St. John Church). Even in these two streets, Jews already living in houses were permitted to remain. Also included in this ruling was the pronouncement that Jews living in these streets must contribute to the beautification of the town. New edicts concerning taxes declared that Jews’ taxes would equal those of all other citizens, and the yearly tax of 600 Zloty was abolished. The ruling also established the freedom of Jews to participate in all commerce and craftsmanship, explaining that the contract of 1742 was a product of its time and its conditions could and would no longer be sustained. The ruling of 1783 also clarified that each person wishing to receive a license for craftsmanship would be tested by a committee that would be composed of both Jews and gentiles and would be appointed by the municipality. This judgment was regarded as a big victory by the Jews of Vilna. In commemoration of it, the gravestone of Arie Leib Myetes’ reads “it is he who saved the Jewish community in the year 1783 and averted disaster in town through his cleverness.” The bill of 1783 ended a long struggle for Jews’ right to live, work, and engage in commerce in Vilna. Jewish commerce and trade increased, and many unions of Christian workers were terminated. Ultimately, the ruling legalized something that was long in existing and removed the obstacle of free progress in commerce and craft by the Jews. In order to determine accurate taxation, censuses were carried out in Vilna in the years 1765 and 1784. After Vilna was conquered by Russia, there were yet other censuses in the years 1795 and 1800. While these censuses are not accurate, we may still learn much from them. The most exact censuses were taken in 1765 and 1800. According to the census of 1765, the Jewish community of Vilna and its suburbs was compromised of 3887 individuals. In the year 1800, 6971 individuals inhabited the same area. The total number of residents at the end of 18th century, including the Jews, was 17351 individuals. Thus, the Jews composed almost half of the total population at the time. Internal Jewish Politics During the Years of the Polish-Lithuanian Kingdom The Jews had become autonomous and their leaders served in a committee, chosen by the community to represent them in the larger population and negotiate with the local government. They collected taxes, had formed their own judicial system, were responsible for the health and sanitary conditions of the Jewish quarter, and supervised Jewish education. Each year, new community, judicial, and religious leaders were elected by the community. In certain job areas, such as education and health, special societies existed (Talmud-Torah for education, Bikur-Holim for Health Care, and CHK). Each such society elected its own leaders. The Vilna Jewish community began to take part in the Committee of the State of Lithuania for the first time in 1652. In time, it became very prominent in this committee, since the Jewish quarter had became a significant metropolitan area of the town. Taking example from the Christian craftsmen, the Jews also organized trade unions. At the head of the society of weavers was CH. K. Schmuckler. The number and size of such societies increased steadily. Most such groups attempted to establish their own synagogues. There existed a noted hierarchy among the leaders of the community. In order of importance, these leaders were: the rabbi, the av beit din (religious judge), the magid, the writer of official documents, the beadles, the legal community representative (shadlan), the doctor, and other community workers. It was the wealthy and the learned who influenced the community the most. Only well-to-do or learned individuals were elected as leaders of the committee and societies. Even in difficult times when the community required representatives reflecting their decrepit state, those elected were wealthy. They in turn elected their relatives for more minor judicial positions. Originally, the community was ruled by volunteers who cared for the betterment of the public. Among them was Eliyahu Hasid, brother of Yisaschar Bar, son of Rabbi Moshe Kramer (av beit din of Vilna, died in 1688), and great-uncle of the ‘Genius of Vilna’ (1720-1797). Another like him was Yehuda S”od (son of Eliezer, died in 1763, was the father-in-law of Shmuel, son of Avigdor, av beit din of Vilna). Following this type of rule, the job fell to the hands of the wealthy, who wanted power and control. Consequently, a great debate started in the second half of the 18th century between the av beit din Shmuel, son of Avigdor, and the head of the community, Abah, son of Ze’ev Wolf. The Jewish craftsmen opposed the head of the community, and their representative demanded either the abolition of the leading committee or at least a limitation of duties to religious and charity work. Both sides, for the first time, appealed to the government. The autonomy of the Jews, however, was greatly hurt by appealing to outside help in settling a local debate. As the Jewish community became more established in the first half of the 17th century, Vilna became the center of the Torah. Many religious learned Jews from other places, such as Bohemia, Austria, Germany and Poland arrived here. Moshe Rivkas’, son of the writer and scribe of the Jewish community of Prague, brought with him to Vilna the library that had belonged to his father, collecting many new works as well. Many at the head of the religious community were well-known, amongst them famous rabbis such as Moshe Lima (son of Yitzhak Yehuda, died in 1670) who wrote the book “Chelkat Mechokek” that became renown throughout the Diaspora. The religious judges in Vilna at this point were Ephraim (1616-1678, son of Yaakov The Cohen, “Shar Efraim”), Shabtai Cohen (son of Meir The Cohen, 1622-1663) Aaron Shmuel Keidanov (known as the Ma”hrshk, 1614-1676, born in Kedainiai), and Hillel (wrote Beit Hillel, born in Galicia, religious judge in Vilna). Due to the destruction of the community in 1655, many of these learned men fled and settled in the west. Some of them received jobs as rabbis in important Jewish communities. Rabbi Shah Shabtai Cohen became the rabbi of Holesov in Moravia. Ephraim, writer of “Schar Efraim” also became a rabbi in Moravia; Aaron Shmuel Keidanov became rabbi of Pielt in Germany; Hillel became rabbi in Altuna, Hamburg. 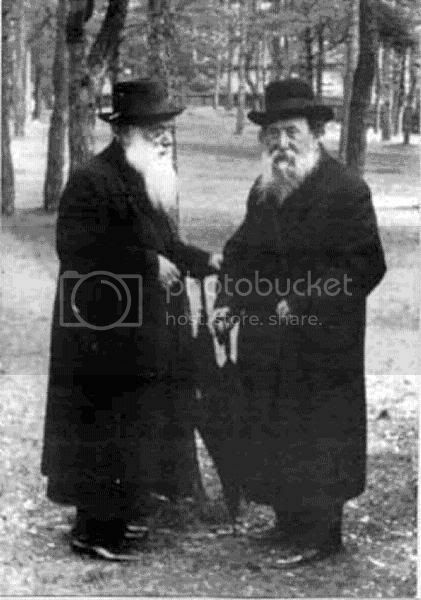 Eventually, rabbi Moshe Rivkas’ (son of Tzvi Naftali, died in 1671) returned to Vilna from Amsterdam, where he wrote the book “Be’er Hageola”. Special among these learned men and writers was Eliyahu Hasid Ben Solomon, who became better known as the Genius of Vilna (1720-1797). He strengthened traditional Jewish values, keeping them insulated from the new movement that was taking form in the Jewish streets. Nevertheless, the upcoming movements took root, examples being the Hasidic movement, established by Baal Shem Tov, and the enlightenment movement that came from Berlin under the influence of Mendelssohn (the grandfather of Mendelssohn the musician). Only a small number of the heads of the Vilna community of the learned were affected by the Hasidic movement. This is due to the work of Rabbi Eliyahu, who stubbornly resisted it. Already the first of these enlightened Jews of Vilna worked to preserve the Hebrew language. Taking great interest in its grammar, they were also curious about modern additions to the religious text. They continued its tradition, preferring it over philosophy. Vilna, with its rabbis, writers, philosophers, and educated people, became renowned as the center of spiritual life of the Jews of Lithuania. Thus, it was rightfully named the ‘Jerusalem of Lithuania’ (Yerusholayim de-Lita). In 1794, around thirty Jews were killed in a Vilna suburb by the incoming army of the Russian empire. In 1812, the French army conquered the town and the Jewish population suffered greatly. The old cemetery became a pasture for cows and sheep. The Jews helped the Russian army to fight the French, hoping Czar Alexander the First would improve their situation. This was a misconception, as the situation during the rule of the brother of Czar Alexander Nikolai the First was very bitter. A draft claimed young Jewish children for the army, causing great alarm in the community. Despite many of Jews’ pleas, this order was not revoked and greatly hurt the population, resulting in internal struggle in the community because it was the leader of the community who were responsible for fulfilling the specifications of the draft. The governing committee secretly kidnapped impoverished Jewish children to fulfill the requirement of the draft, causing the population, especially those who were poverty-stricken, to revile the leaders of the community. In 1802, an order came to the Russian-occupied Vilna stating that a certain number of Jewish representatives must be chosen for the municipalities, as was custom in the Russian empire. The chief of the central municipality greatly objected to the members of the Jewish leading committee. Thus, after pleas of the Jews to revoke this order, it was cancelled by the municipality. The subject was again brought to light in 1816. The mayor of the Vilna region suggested that some Jews assume positions as representatives in the municipality, and so in 1817, two Jews were chosen for this general committee. Seven of the gentile members of the committee announced that they would not take part in any organization that contained Jews. The gentiles were put to trial for refusing to work with the Jews, although the outcome is not known. The Jews remained in the general committee until the year 1820, when the Russian leadership acquiesced to the pleas of the gentiles in forbidding the Jews to take part in the committee. Once again, this issue was debated for a long time – until the year 1836 – when it was finally decided that Jews would no longer be allowed to participate in the committee of Vilna. Although this decision was an exception amongst the rules applying elsewhere, during the entire period of Russian control of Vilna, Jews were not members of the leading committee. It was only according to the Law of 1892 that a few Jews were permitted to join the committee, although even then they were not allowed to take active part in its decision-making and work. In 1844, Russian rulers annulled the autonomy of the Jews over their affairs. The beadles of the synagogues became the caretakers of the social and religious life of the community. The beadle of the largest synagogue became the head of the community. By the 1840s, the situation of the Jews under Russian rule had become very difficult, and in 1846 a renowned Jew by the name of Moshe Montefiori (1784-1855) came from the West to plead with the Czar to revoke a new ruling hindering the Jews. During his visit to Russia, Moshe stopped in Vilna, where he was received as an honored guest by the local Jews. He investigated the situation of the community and received detailed written reports from educated Jews living here. Despite Moshe’s pleas, however, the Czar did not revoke the ruling. In the year 1850, yet another ruling came from the Czar, this time in regards to the costume of religious Jews. Now, Jews were forbidden to wear long gowns such as those of Polish Jews. In addition, rulings regarding traditional men’s sideburns and women’s wigs were issued. Most in the Jewish population strongly objected to the ruling, although they eventually became accustomed to the new fashion. Following the demise of this evil Czar there was improvement in Jews’ life in two areas: that of army service and of permission for Jews to breach the Pale of Settlement. In the year 1861, the rule decreeing that two streets of Vilna must remain unpopulated by Jews was eliminated. However, a Jewish resident of Minsk by the name of Jacob Barfmann converted to Christianity, causing great damage to the Jewish population. In the year 1866, he arrived in Vilna and published an article suggesting that Jews were a nation within a nation. This article caused great turmoil amongst the Vilna ruling class. Mr. Barfmann was asked to collect testimony from books of the Jewish community showing the ‘true nature’ of the Jews. This appointment caused great turbulence amongst the Jewish population, and the general governor agreed to the suggestion of a Jewish publisher from Vilna, Yaakov Barit, founding a committee of educated Jews who would investigate the claims made by Mr. Barfman. This committee existed until 1869. Despite the fact that Yaakov Barit was successful in proving to the members of the committee that the claims that Barfman made were false, Barfman continued in his activities and published, with the help of gentile authorities, a book about the Jewish community. This propagandist and fallacious book insinuates that according to faulty interpretation, the books of the Jewish community are erroneous in regards to the true nature of the Jews. Barfmann’s book was sent to many government officials and was used by its clerks as an official document describing the Jewish community and their relation to the state. During the reactionary period when Czar Alexander III came to power, Jewish Vilna was very involved in a movement for equal rights and national liberation. 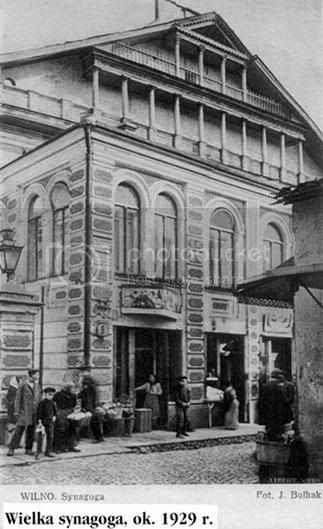 In 1872, Vilna established the first Jewish Social Center in the world. In addition, one of the first Zionist Unions, Hovevei Zion (From its inception, the Hovevei Zion groups in Russia sought to erect a countrywide legally recognized network. After negotiations, in which the authorities demanded that the society be set up as a charitable body, its establishment was approved, early in 1890, as ‘The Society for the Support of Jewish Farmers and Artisans in Syria and Eretz-Israel,’ which came to be known as ‘The Odessa Committee.’), was established here in 1882. In the year 1897, a meeting was held for the entire committee of the Social Democratic Jewish Party (the anti-Zionist Bund – “Like other Jewish Marxists, the Bund argued that, rather than emigrating to Palestine, Jews should combat racism wherever they were. So it was extremely hostile to Zionism, which it saw as a refusal to fight anti-Semitism – and indeed a concession to it.” Taken from http://www.sa.org.au/cgi-bin/index.cgi?action=displayarticle&id=214). During the Russian Revolution of 1905, this party became very active in Vilna. In 1902, a young Jewish shoemaker by the name of Hirsch Leckert (1879-1902) attempted to assassinate the Vilna governor, von Wahl, who had been very cruel to protesters on May 1st. The governor was wounded, and Hirsch Leckert was hung. 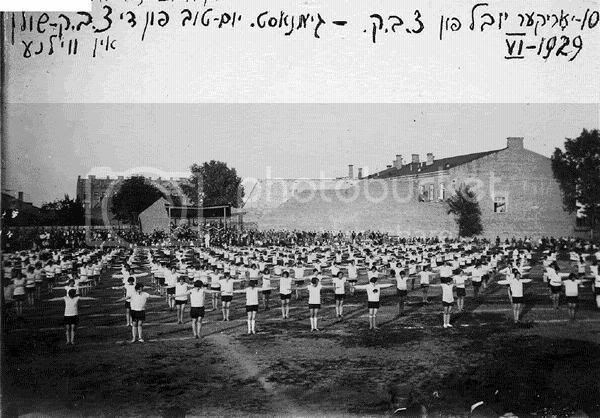 During the same year, the religious Zionist organization held a meeting in Vilna. The city became a center for the laborers of Zion. In 1903, Doctor Herzl, president of the Zionist movement, stopped in Vilna on his way to St. Petersburg. This visit resulted in a great demonstration of Vilna Jews in support of Herzl and his doctrine. 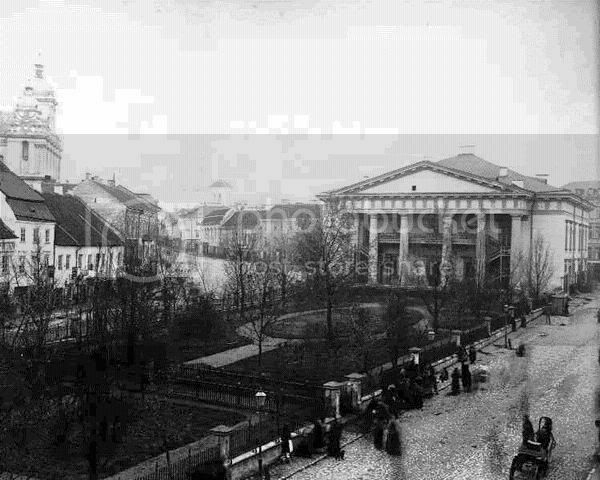 Between the years 1905 and 1910, Vilna was the location of the Zionist Committee of Russia. In 1906 Vilna witnessed a meeting of the Union for Equal Rights of Russian Jews; Doctor Shmaryahu Levin was elected as a representative to the Russian Duma. At this point, he lived in Vilna. 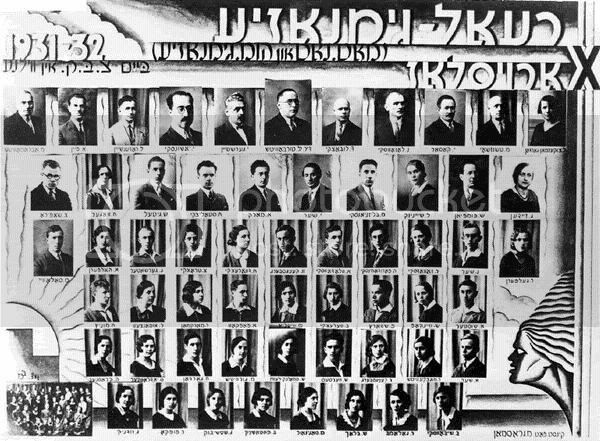 Delegates to a congress of the Tse'irei Zion movement, Vilnius 1921. Shlomo Farber (front row, second from the right); Menachem Rudnicki - Adir (front row, fourth from the right); Chaim - Shalom Kopilowicz (front row, third from the left); Avraham Solowiejczyk (front row, on the left); Lewin (standing, second from the right; first name unknown), a delegate from Molodechno; Israel Shafir (standing, third from the right); Nachum Kantorowic (standing, fourth from the right); Israel Marminski - Marom (standing, fifth from the right); and Margolis (standing, fourth from the left; first name unknown), a delegate from Svencionys. 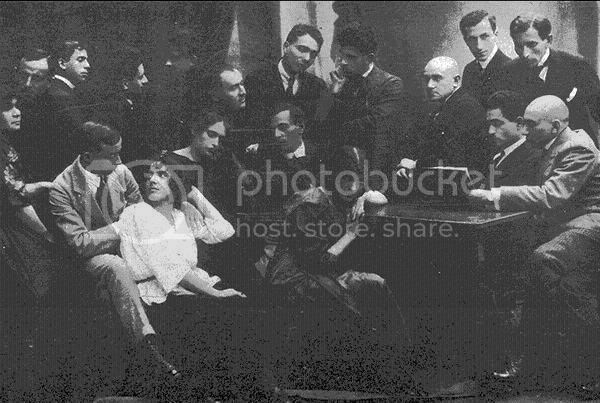 Also in the photo, seated: A. Katz, Shraga Antovil, Reuven Boniak, Shlomo - Yitzhak Alper, Eliahu Rodnicki, Nechama Horwic, Yitzhak Walk, Chaim Fejgin, and Yitzhak Schweiger, a Zionist emissary from Mandatory Palestine. The number of Jews in Vilna steadily increased during the 19th century. By 1832, Jews constituted the majority of the town population. While Vilna housed 20706 Jews, it was the residence of only 15200 gentiles. According to the census of 1897, of 154532 Vilna inhabitants, 63997 were Jewish; Jews made up 40.9% of the population. In 1916, Vilna’s inhabitants had decreased to 148840, yet amongst them were 61263 Jews, or 43.5% of the general population. Vilna soon became a center of commerce and industry. The town’s merchants shipped products to distant markets all over the Russian Empire. Vilna also became a transit station for the merchandise traveling between Russia and Germany. The local manufacturers, specialists in their professions for generations, developed contemporary products, such as mass-produced ready-made clothing and gloves. In the surrounding neighborhood of Vilna, they also generated wood products, using mills and factories to make furniture. 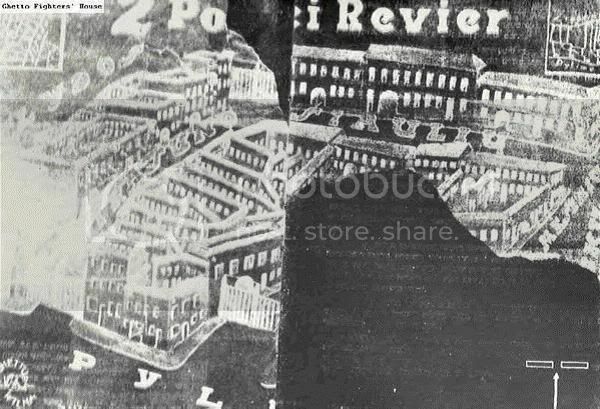 Vilna residents controlled flour mills, beer and tobacco factories, sweet and sugar factories, and printing presses as well as tanneries. Jews took increasingly large part in such commerce in the 19th century. In 1806, only 22.2% of merchants were Jewish. 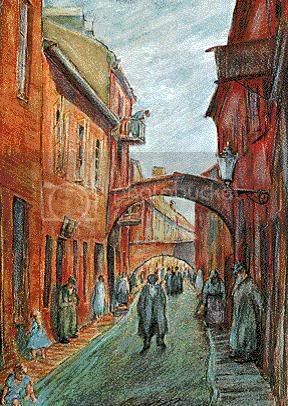 By the year 1827, Jews made up 75.6% of merchants: almost the entire commerce in Vilna had passed to Jewish hands. By 1875, of 3195 merchants, 2752 were Jews, or about 86%. In 1897, 77.1% of merchants were Jewish. Particularly large was the number of Jews who owned small stores and businesses. According to the census of 1897, the professional classification of Jews of Vilna was as follows: merchants – 6117 individuals; industry and manufacturing – 13573; transportation – 875; agriculture – 78;doctors, lawyers, and the like – 1026; others – 6926. Accordingly, most Jewish residents of Vilna were involved in industry and production. These small-time Jewish manufacturers began exporting their goods - ready made clothing and gloves - to all areas of Russia. In 1914, according to a census carried out by Jacob Laszcinski, more than 50 manufacturing enterprises belonged to Jews; in each one of them worked more than ten people. In some of these, there were twenty and in others as many as forty laborers. Small manufacturers yet abounded. That year, of 131 Jewish glove-makers, 78 employed 308 laborers and 125 assistants. Other than these laborers, between 250 and 300 workers, mostly women, carried out small assembling jobs from home. In the sowing industry of 1914, about 1000 Jewish enterprises existed, collectively hiring around 2000 laborers. Ready-made clothes were sent to Caucasus, Siberia, and central Russia. Vilna’s main competitor in the clothing trade was Poland. These sowing assemblies operated very similarly to US enterprises, with detailed division of labor. 200 ready-made clothes manufacturers hired between 500 and 600 laborers; some establishments employed 30 or 40 laborers alone. Of around 100 shoe-makers, only three were gentile. Collectively, 500 Jewish workers were employed in the shoe-making industry. Three to four thousand additional laborers made socks; many worked from home. Other professions – such as those of hatters and saddlers – were a Jewish monopoly. In 1815, the first Jewish factory was opened for the production of simple cloth. By 1858, almost all factories were owned by Jews. Although they were not large, the 43 factories employed 210 laborers. During the years from 1870 to 1880, this industry was much encouraged by authorities. In 1887, 53 of Vilna‘s factories were operated by Jews; together they used the services of 1469 manual workers. Although ten years later the number of Jewish factories had decreased to 49, they now employed 2378 laborers. Just before World War I, the number of Jewish factories increased to 125 and the number of laborers to 4671. Other than the fields already mentioned, there were no truly developed industries in Vilna. As Vilna was a center of commerce, sectors of important banks were opened here. Jewish merchants and tradesmen opened their first savings and loan bank in 1904. The previous year, in 1903, Doctor Benjamin Pin, the son of Räshi Pin, left in his will some money to assist in manufacturing and subsequently became very important to the industry. His example was followed by similar benefactors in other Russian towns. 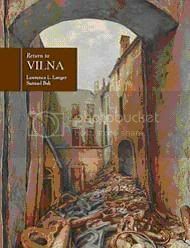 Vilna continued to flourish as an eminent cultural center throughout the 19th century. It was the center of the Torah; the Enlightenment spread through the town and its environs. While many distinguished writers and progressive thinkers were raised in Vilna, others came from different towns. In the middle of the 19th century, it became a hub of Hebrew literature. A central personality amongst the free-thinking inhabitants of Vilna was the writer Mordechai Aaron Ginsburg (1795-1846, born in Salant); among poets who originated in Vilna we must mention Avraham Dov Hakoyin Levinsohn (born in Vilna in 1794, died in 1878) and his son Micha Yosef Levinsohn (1828-1852) as well as Schlomo Zalkind (died in Vilna in 1868) and Yahudah Leib Gordon (born in Vilna in 1830, died in St. Petersburg in 1892). Vilna also housed researchers the likes of Matityahu Strassen (son of Shmuel, born 1818 in Vilna, student of teachers from Lebadova and Ilya, died in 1886 in Vilna), Yitzhak Isaac, son of Yaakov, Avraham Zagheim (died in Vilna 1872, son of Yosef), Smuel Yosef Pin (born in Grodno 1819, died in Vilna in 1890), Eliezer Lipman Horowitz (born in Vilna in 1815, died 1852), Juhoshua Steinberg (born in Vilna in 1839, died in 1908). Also there were welknown writers like Kelman Schulman (born in 1821, died in 1899 in Vilna), Benjamin Mendelstamm (born in 1800 in Jagar, died in 1886 in Simpropol), Isaac Meir Dik (born in Vilna in 1807, died in 1893), Moshe Reicherson (born in Vilna in 1827, died in 1903), David Moshe Mitzkohn (born in 1836, died in Vilna in 1887), and Ay Papirna. The well-known writer Mapo (born in Slabodka in 1908, died in Konigsberg in 1867) belongs very much with the Vilna literary spirit. These scholars wrote in Hebrew, the literary language of the Jews of Eastern Europe. Eventually, the Yiddish language, the vernacular among Jews, also became a literary language, furthered by writers such as A.M. Dik and Michail Gordon. The common sharp humor of the times was expressed by the national comedians Motke Habad and Sheike Feifel, the flute-player. 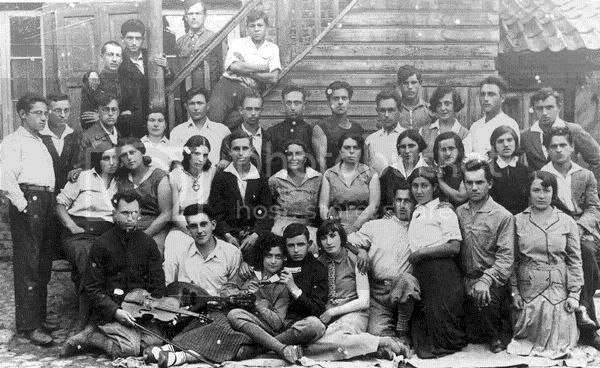 Members of a well-to-do enlightened class, such as Eliezer, Nisan, and Moshe Rosenthal, Mordechai Nathanson, Elazar Halberstamm, and others, also lived in Vilna at the time. What is particularly evident amongst these writers is their deep-rooted love for the Hebrew language as well as for the Bible and the land of Israel. In addition, they recognized the unity of the Jewish nation that had spread out during the Diaspora and had a deep love of traditional literature. In the year 1799, two printing houses transferred from Poland to Vilna. Both had Hebrew divisions. In the publishing house of the Polish Zawadski, the head of the Hebrew department was Menachem Man, who changed his last name to Romm. In 1835, Romm began printing, in partnership with a few wealthy Vilna residents, the Bible. At the same time, the Bible was also printed in the Sloboda printing house. A fight ensued and was taken to court, where it was decided that the printing house of Romm would be the sole publisher of the Bible. In consequence of this verdict, the government closed all Hebrew printing presses in Russia with the exception of Romm’s in Vilna and another in Kiev. Romm now had a monopoly on almost all Hebrew literature of the region and became very successful. The Romm printing press was used by the writers of Vilna as a publishing house. In 1863, a new publishing house was opened by Rashi Pin and Rosenkrantz; following this, many other such houses were launched. Several Jewish students studied in the Polish university in Vilna. In 1808, the university established a program for teachers of secular Jewish schools, but this program existed for only half a year. In 1830, Jewish academia established a secular school in Vilna, but, once again, this did not last long. In the year 1841, a group of educated Jews, headed by Nisan Rosenthal (died in 1816 Vilna, was born in Yasinovka), established two schools at which children studied both secular and religious topics. In 1844, the government of Vilna opened a school for rabbis that in 1873 became a school for Jewish teachers. This establishment was largely intended to further Russification among Vilna Jews, providing general schooling rather than specifically educating rabbis and teachers. Many students of this establishment became known as writers and researchers. Among these were Dr. Yehuda Leib Kantor (born in Vilna in 1849, died in Riga in 1915), Doctor S Mandelkern, Aaron Shmuel Lieberman (born in 1845, committed suicide in 1880 in the US), Abraham Eliyahu Arahbi, son of Yaakov (born in Novohorodok in 1835, and died in 1919), Kahn Avraham (born in 1860 in Podbraze, died in 1951 in New York), and L Livender. At the beginning of the twentieth century, a Hebrew high school with a primary language of Russian was established. Under the headmaster PA Cohen, many subjects were taught in Hebrew. The Zionists, becoming more and more influential in the area, established a modern institution for religious studies, and new, modern ideas became more common in the secular Hebrew schools as well. In some, Hebrew began to be taught in a more natural way, often replacing the more common Yiddish. Several Zionist women established at this time a Hebrew school for girls by the name of Jahudija. At the beginning of the twentieth century, Vilna was the cultural center for many Hebrew writers. Between 1904 and 1915, a daily paper, Hazman (the Times), was published, whose writers included Ben Zion Katz (born in 1875, died in Tel Aviv in 1958), Israel Chaim Tvajov (born in Druja in 1858, died in Riga in 1920), Yosef Eliyahu Trivesh (born in Vilna 1855, died in 1940), Shaul Chernovitz, YD Berkowitz (Ben Zion Yahuda? ), Ben Eliezer (nee Moshe Galumbatsky, born in 1882, died in Tel Aviv in 1944), Y. Brashdeski, Hillel Zeitlin, and SL Zitron. Furthermore, a monthly newspaper was published by Zev Yewitz, called Hamizrachi. The weekly of the Zionists, Zionist Congress, was published in Vilna and targeted a youthful demographic. In addition, weeklies like Life and Nature were published by Lavner and Comrade published by Eliyahu Halevi Levin. Yiddish newspapers also flourished. In 1906, the Zionists began publishing a scholarly weekly, named Das Jidische Volk. Its editor was Dr. Yosef Floria. Other political parties, such as the Bund, the Zionist Labor Party, and the Socialists (SS) also published newspapers and books, mostly in Yiddish. The monthly Yiddish World transferred its location from St. Petersburg to Vilna, and was edited by S. Niger. A children’s Yiddish newspaper by the name of Grininka Biamelah was published by Hilperin Falak. Furthermore, an important scientific library was established in the town. Books were contributed per the inheritance of the learned Matityahu Strassen. The German army took over Vilna during Yom Kippur of 1915. A very difficult period came, a time of starvation and unemployment, followed by forced labor. The previously flourishing industry and commerce were eradicated. Although the town incurred a collective financial penalty of one million Marks, the Germans were not able to collect such a prodigious amount of money from the impoverished population. During this difficult period, camaraderie flourished in the community. Helped with training of professionals and given employment opportunities, education in the Jewish community progressed and the first Hebrew-speaking high school in the Diaspora was established along with a Yiddish theater. At the end of the German rule, a democratic election of leaders for the Jewish community took place. At the end of 1918, the Germans retreated from the town. Local Polish citizens received leadership positions from the Germans, but a few days later, the Red Army invaded. Communist rule lasted for only a short time, but even in that time industry and commerce greatly suffered. The Communists took over many businesses and the situation of the Jews of Vilna became dire. On April 19, 1919, the Polish legionnaires entered Vilna and began molesting Jews. However, the commander of the Polish army, Pilsudski (1867-1935), immediately announced that the duty of the army was to liberate the city and to give its citizens the opportunity to manage business as they saw fit. He instituted a democratic election and several Jews were elected to serve in the town council. On the 14th of July, 1920, the town once again was invaded by the Red Army. A day later, Lithuanians entered the town. At the end of that August, the Russians gave control of the town to Lithuanians, who promised the Jews national and cultural autonomy. Soon thereafter, the Polish army, headed by general Zaligowsky, conquered the town. Under Polish control Vilna became a backwater Polish town without any commercial inflow. Its connection with the neighboring independent Lithuania was severed. The Jews of Vilna took part in the leadership of the town but were forced to fight for these rights. The duties of the Committee of the Jewish Community were decreased and, according to Polish diktat, became responsible only for religious and social work. Despite this, the Jews covertly conferred upon the committee greater responsibilities. As the Vilna economy was stagnating, continuous emigration to the United States and other countries occurred. Nevertheless, Jewish schools, taught in both Hebrew and Yiddish, were established. In addition, schools training teachers in Hebrew and Yiddish and Hebrew and Yiddish high schools were opened. Polish authorities, desiring to educate Jews in Polish, opened a Polish public school for Jewish children. In addition, the Polish university in Vilna accepted only students with Polish high school diplomas. Thus, it became very difficult for any graduate of a Hebrew or Yiddish high school to be accepted. Notwithstanding this limitation, many Jewish students attended the university. The main cultural loss for Vilna’s Jews was its position as the heart of Hebrew literature. The Jews who promoted Yiddish used this opportunity to open their own center and attempt to make Vilna the core of the Yiddish movement. They established several public high schools and a teaching seminary in Yiddish. They also tried to establish a scientific institute for high school graduates. This establishment was intended to carry out research on Yiddish language as well as Jewish history, statistics, and other such subjects. 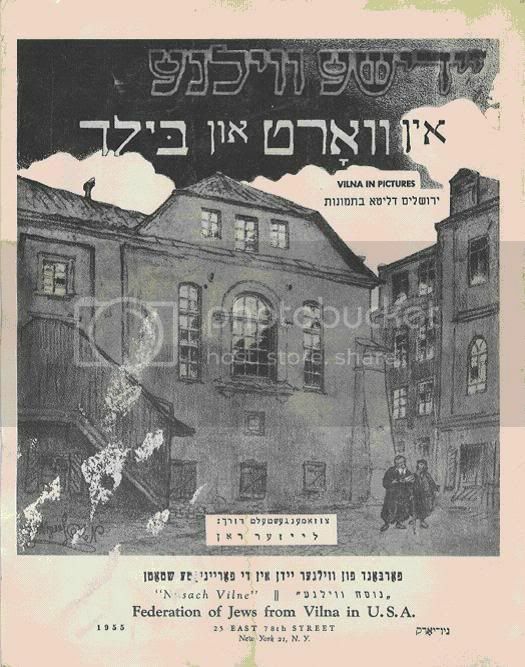 Known as the YIVO, it became famous throughout the Diaspora, but especially in Poland. On Jewish Street, hostilities ensued between the Zionists and the Bund. While the Zionists controlled the Jewish community, the Bund strongly impacted its trade unions. During the few years prior to World War Two, Anti-Semitism spread all over Poland, including Vilna. The city of Vilna and its environs was taken by the Red Army on September 19, 1939, and on October 10 the Soviet government transferred that area to the independent republic of Lithuania. Shortly thereafter, approximately fourteen thousand Polish Jews fled to Vilna in the hope of escaping from Nazi or Soviet rule. They included such noted leaders as Menachem Begin, Moshe Sneh, and Zorah Warhaftig; approximately two thousand members of the Zionist pioneer movements (halutsim); and the rabbis and yeshiva students of more than twenty Polish yeshivas, including those of Mir, Kletsk, Radin, Kamenets - Podolski, and Baranovichi.In June 1940, the Soviets occupied Lithuania, and many of the refugees sought to emigrate at all costs. That summer, a rescue route for the Polish refugees in Lithuania opened up via East Asia, in addition to the emigration route to Palestine. Two Dutch yeshiva students obtained visas to Curacao, a Dutch colony in the Caribbean, from Jan Zwartendijk, the Dutch consul in Kovno (Kaunas), who subsequently agreed to grant such documents to other refugees. The refugees then asked the local Japanese consul, Sempo Sugihara, for the transit visas that would enable them to travel via Japan. Sugihara, on his own initiative, and later despite express instructions to the contrary, issued thousands of transit visas during the final weeks before the Soviets forced him and other consuls to leave. The refugees, headed by Dr. Zorah Warhaftig, who was in charge of the local Palestine Office for Polish Refugees, then applied for Soviet exit permits and transit visas. After extensive efforts by refugee leaders the Soviet authorities granted the refugees permission to leave, and the first group arrived in Japan in October 1940. Once it became known that exit permits were available, efforts were made to obtain the necessary documentation by many who had previously refrained from doing so. Thus, visas to Curacao were obtained from A. M. de Jong, the Dutch consul in Stockholm, and Nicolaas Aire Johannes de Voogd, the Dutch consul in Kobe, Japan. Japanese transit visas were procured from consuls in various Russian cities, primarily with the help of the Japanese N.Y.K. (Nippon Yusen Kaisya) shipping line, which provided visas to those for whom boat tickets had been purchased. Several hundred refugees who possessed visas to the United States, Palestine, and other countries traveled via Japan, leaving the Soviet Union by means of the Curacao and/or Japanese visas; among them were such prominent rabbis as Aron Kotler, Reuven Grazowsky, and Moshe Shatzkes. Beginning in the early spring of 1941, the Japanese attempted to halt the entry of Jewish refugees to Japan, but despite their efforts, more than 500 Jews entered between April and August. That summer, the Japanese sent those Jewish refugees who were unable to emigrate to Shanghai, where most remained for the duration of the war. During the period from October 1940 to August 1941, a total of 3,489 Jewish refugees entered Japan. Of these, 2,178 were of Polish origin, among them more than 500 rabbis and yeshiva students. In the spring of 1941, efforts were made to arrange for the entry of refugees from the Soviet Union directly to Shanghai, and the necessary permits were obtained. It is not known how many of these documents were actually utilized (apparently between 50 and 150). 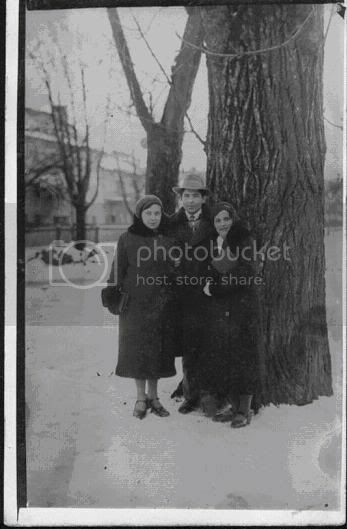 Sima nee Gurevitz with her first cousin ( nee Spektor) And the cousins husband. A mediaeval stronghold, once the capital the Grand Duchy of Lithuania, today the county and guberniya town and headquarters of higher administration offices and the army. It lies 50Â° 41’ latitude north, 42° 57’ longitude east and 118.2 m above sea level. It stands at the point the river Wilejka enters the river Wilia, in a valley surrounded by hills from whence a beautiful panorama extends. Distances by rail in verst to the following cities: St. Petersburg 658, Moscow 875, Warsaw 387, Kiev 862, Minsk 173, Wierzbolowo 177, Kowno 97, Grodno 147 and Ryga 365.Location and climate In geognostic terms, the town lies on a plain, tilting from the Pinsk Lowlands towards the Baltic Sea. To the east and west, the elevated upper layers of land, on which the town stands, are of sand. The alluvial hills surrounding the Wilia river bed are only of sand but those around the Wilenka occasionally contain clay. There are two springs in the town, one by the Zamkowa hill containing traces of hydrogen and sulphur, the other, more iron flavoured, on the Rowne Pole. Their presence points to the possibility of the existence of more. In his geognostic description of Wilno, (Opyt medico-topograficzeskiego opisania goroda Wilny pages 9 27), Salkind describes this subject in great detail. Here we must add that the land in the lower part of the town, the complete area in the vicinity of the castle, from the banks of the Wilenka and Wilia to the hills on which the buildings of the Catholic seminary, the post Dominican and post university stand, are boggy and full of springs and meadows. Water in Wilno is plentiful and never far beneath the surface. The soil in the town and environs is primarily sand and these layers often attain a depth of several ells (Nordischer Sand); then follows a layer of ordinary red clay which is unsuitable for brick making due to the high content of lime stones (top red alluvial clay, top red marl); beneath a layer of alloy-yellow coloured clay, which is a type of marl and containing veins of excellent pottery clay (marga argilacea, argilla plastica) and finally the deepest lying, thin layer of gravel or largeâ€“grained sandy limestone. In the hills surrounding the town there are innumerable primary rock fragments, the most popular being granite, gneiss and grinstein and these are used to pave the Wilno streets. Homogeneous minerals have been found beneath the town and include cinnamic stone, hornstone, in the shape of rounded stones, (Hornstein; according to Gedrojec this is not hornstone as maintained by Jakowicki but silex or Feuerstein) and fossilised wood. The bones of a mammoth, an elephant’s molar tooth and various other, less significant, fossils have been found on the banks of the Wilia and on the flat country beyond. A description of the latter can be found in an article by Jakowicki in the Wilno Daily 1830, III, 80).Wilno also has its own specific flora, details of which can be found in Balinskiâ Statistical Description of Wilno, 9, 23. Balinski collected what he found by Gilibert and Jundzillow; the latter did much for the countrys flora but omitted many species known only in Wilno. Presently, Ms. Tekla Symonowicz, known for her work in the field of botany and for her rich herbarium, is preparing to take to print a detailed account of Wilno flora. The climate, although changeable, is temperate and healthy. The real spring warmth begins here with the onset of April and sometimes even in March; however when the polar ice begins to melt, the northern winds bring cool weather and frosts with them and snow has been known to fall as late as May. The hottest days are experienced in July but October can be almost just as warm. Summer temperatures can reach +26.2Â° but they normally range from +22Â° to +24Â°. The coldest temperature registered was -29.5Â°. The average annual temperature is +6.80Â° (Wild temperatures in the Russian Empire); average winter temp. -4.56Â°, spring +6.80Â°, summer +17.94Â° and autumn +7.20Â°. The greatest annual temperature fluctuation occurs in January and July, a slight one in February and August and the smallest in April and November. The highest temperature +33Â° was recorded in July and the lowest -38.8Â° in January. The highest atmospheric pressure of 752.6mm was noted in January and 751.8 in February; the lowest 748.6 in July and 748.9 in December. The south wind prevails, followed by the west wind and the most uncommon are the north and north-east ones. The declination of the magnetic needle observed by implementing a simple theodolite was 13. The longest day in Wilno lasts 17 hours. Expanse, parts of the town and policing areas of Wilno covers an expanse of 8 square wiorst and its boundary is 27 wiorst and 75 saz. The straight line from Ostrabrama Street to Antokol suburbs measures 7 wiorst; from Pohulanska to Polocka suburbs, 2w. 350 saz. Wilno has spread throughout the valley surrounded by hills of varying sizes.The city is, in fact, divided into the actual city and suburbs encompassing it from all sides. Travelling from north to west we first encounter Antokol, which resembles a town rather than a suburb considering its population. It nears the city with each year as the number of houses increases and will soon be swallowed by it. Those â€œ manors in Antokol, so poetically described by Chodzko, no longer exist. They have been replaced by multi storey buildings and factories. A thick pine forest, belonging to the Greek Orthodox nuns, separates Antokol from Popowszczyzna, which lies to the north east and used to be a suburb but today is integrated into the city. This part of the city is named Zarzecze. Poplawy suburbs, now adjoining Zarzecze, lie more to the east but are separated from it by the river Wilejka. Towards the south and south west there are the suburbs of Nowy Swiat, Szkaplerna and Kominy which make up a unit and are quickly approaching the city. Nowy Gorod and Hulanki are to the south and south west. The former is a town in itself, even a fair-sized one, taking the number of houses into account. 15 to 20 years ago, Pohulanka was the summer escape of the privileged and a popular excursion goal. Today, it is a beautiful part of the city. Lukiszki lie to the west and Snipiszki to the north west. Lukiszki is in a valley whereas Snipiszki lies higher. Antokol and Popowszczyzna are separated from the city by the river Wilejka and Snipiszki by the Wilia. Other suburbs and the city itself are on the left bank of the Wilia. On the edge of the suburbs we find the summer houses or â€œdachas.â€? They are usually situated in such picturesque places as Werki, Zwierzyniec, Zakret, Rybiszki, Markucie, Betleem, Belmont, Wilanowo, Rossa etc. The city has expanded in a most uneven and hilly area so that not only is one street higher or lower than the next but even the street itself can in one part be steeply elevated in relation to another. The town consists of 8 suburbs, 13 squares, 65 streets and 39 alleys. From a policing angle it is divided up into 7 circles of which VII is Antokol, VI includes Zarzecze and Popowszczyzna, V Rossa and Poplawy, IV Snipiszki and I Szkaplerna. Nowy Swiat and part of Nowy Grod do not belong to the county. Most of Wilno’s streets are twisting and winding. There are barely 3 straight streets commonly known as Prospect. They are relatively new and bare the names St. Jerski, Aleksandrowski and Aleksandrowski Boulevard.Population Regarding population, Wilno ranks 111 in Europe and 12 in Russia (Bracchelli: Statistik der Europaeschen Staaten). Due to a lack of documentation, it is difficult to say how the population grew. Some historians maintain that Wilno had around 30.000 inhabitants in the XIV century, gradually reaching the figure of 120.000 in its heyday, during the reign of Zygmunt August. The city lost its splendour during following reigns and Jan Kazimierzâ€™s reign (1655) saw 25.000 citizens die and even more scatter. In 1766, Karpinski mentions a population of 60.000 (Geographical Lexicon). In 1830, Chodzko, records 50.000 of which 30.000 were Jews. In 1835, Balinski mentions 35.922 (Statistics of the city of Wilno). That figure is incorrect because the VIII census in 1834 census mentions 52.269 citizens and according to official documents 1836 there were 30.253 males, 25.882 females, together 56.135. According to official documents in 1846 there were 27.871 males, 26.311 females, together 54.182 inhabitants. In 1850, the IX census gives 49.006, the X census in 1858 mentions 58.175 and finally the 1875 census notes 42.178 males, 40.490 females, together 82.668. From that one-day count in 1875 there has not been another registration and so we have to make-do with those memory books published annually by the government statistics office. The information included is fairly accurate as the figures are obtained as follows: births/deaths of the current year are added/subtracted to/from the figures of the past year. The office receives these figures from the police and consistories. According to these books the population in 1886 was 107.286 and in 1890 there were 53.039 males, 56.769 females, together 109.808 of which 13.787 Orthodox, 746 Rozkolnik, 33.628 Catholic, 1.820 Lutheran, 142 Calvinist, 63.698 Jew, 127 Karaite and 360 Mohammedan.During the period 1875 and 1888, the number of births registered was 36.385. Of these 24.776 were Christian and 11.500 Jew and the ratio was 100 girls to 133.3 boys. 27.6 children were born to every 2.000 adults. During the same time frame there were 39.046 deaths of which 21.637 were male and 17.409 female. As far as the birth rate is concerned we note it is small and we shall examine it closely by religion. The former has a birth rate ratio of 4:1 and, as to the latter, it is impossible to give even a near accurate account as the figures provided for both deaths and births are compiled very haphazardly. During the 14 year period the Jewish population increased by 13.079 heads. When compiling the figures we attain a decrease of 401:6 and for the 14 year period it shows a decrease of 5.622. This does not coincide with the known fact that mortality among the Jewish population is negligible. According to the Duma statistics, Wilno has 1.509 brick-built houses, 1.169 wooden, together 2.678. The ones in the city are all brick-built but for a few, 25-30 wooden ones. On the outskirts and in the poorer parts of the city the houses are mainly wooden e.g. Nowy Gorod, Popowszczyzna, Szkaplerna etc. The houses in town are mainly 2-storeyed (ground floor, first floor) and 3-storeyed and more are unusual. Stair- less houses can be found in the suburbs.Presently we do not have any information on the number of houses in Wilno. According to a one-day census in 1875, there were 1.748 houses and 3.817 inhabited buildings with 12.787 apartments housing 82.668 people. This means 6.6 people per home. By comparing this figure with other cities e.g. Petersburg 7.5, Berlin 4.6, Peszt 5.4, Kiev 5.7 we can see the living conditions in Wilno are extremely cramped. Not only do the citizens live in cramped conditions but the buildings, too, are over housed having, on an average, 7 apartments. The latter situation is most marked in the city centre but cramped human living conditions are experienced both in the city centre and on the outskirts. The homes are divided up as follows: 1-room 46.9, 2-room 25.3, 3-room 11.2, 4-room 6.5, 5-room 3.7, 6-10-room 5.7, more than 10-room 1.0. For every 100 homes, 4.1% are in the basement, 66.3 on the 1st floor, 22% on the 2nd floor 6.2% on the 3rd floor, 0.2% on the 4th floor and 1.2% on various floors.Canals There are 8 canals, with outlets into the Wilia in Wilno and this includes the small river Koczerga, which crosses many streets in the western part of the city. They date back to the XVIII century when the Jesuits built a canal from the academy through the Dworcowy square and Skopowka to the Wilia. The canals are solely found in the western part of the city and part of the city centre, which adjoins it. There are no canals in the eastern part of the city at all. Due to the high elevation of the city in the east, drainage is natural and during heavy rainstorms proves its practicability. Squares and Public Gardens There are 7 squares and public gardens. Two of these are public gardens: botanical and post Bernadine grove, squares namely Cieletnik, Theatre, St. Jerski, St. Katherine and Dworcowy.Public Squares. There are 6 public squares. They are, in fact, market places and some have a specific role to play e.g. on one timber is sold and is thus called the Wooden Market. Another sells hay, thus the Hay Market and yet another sells horses and so the Horse Market. On certain days the local farmers arrive here with their wagons full of food products and pay the city a fee for their location. The city, however, does not take good care of these areas and so the sanitary conditions are lamentable.Water Supply The city has a good water supply. The main sources are the Wilia and Wilejka although river water is not the best. The city also has 1.043 wells and 4 springs: Wengry, Misyonarski, Ostrabrama and Lewek. Water from the first three is channeled by pipeline throughout the city. The Wengry well provides 7.800 buckets of water daily, Misyonarski 20.000, the Ostrabrama 10.000 but the amounts from the Lewek well are unknown. City administration In the following part we will show the historical development of the city administration and will restrict the statistical part to a minimum. The first citizens of Wilno were governed by the same rules and regulations as were generally in force in Lithuania and these usually came from the ruling personage, priests’ decrees and ancient practices. Before the onset of Christianity many foreigners, mainly from Riga and Germany, settled here at the summons of Giedymin. They brought with them their own laws and customs, which they then put into practice. This changed in 1387 when Jagiello bestowed the Magdeburg rights on the city and the laws of the local citizens and the newcomers were replaced by new ones. These laws prevailed up until 1840.After Lithuania was annexed to Russia the city administration was adapted to the 1785 city statute of Catherine II. The city council was set up on 19 August 1808. Presently, the city has an independent administration board, which was set up on 28 July 1876 and includes 72 councilors (Duma) who select from among themselves a city administration (Uprawa), which is made up of the president (Golowa), 4 members (Lawnik), a secretary, builder and surveyor. In 1893, the administration board and councilor selection system were changed by the highest authorities.Taxes We cannot provide taxation figures and information for earlier times as there is no documentation. From time to time in Wilnoâ history we come upon snippets of such information but never enough to build a complete picture. In 1529, the Christians alone paid 1.500 three-score grosz (penny), which in todays money means 5.400 rubles. In certain situations e.g. fire, pest, famine the city was exempted from paying taxes but then, in times of war, the financial burden was all the greater. It was obliged to provide soldiers (numbers in relation to population of the whole Duchy) and contribute financially to the upkeep of the army. Moreover, it had to provide board and lodging for any army stationed in its precincts and support the city garrison needed for the protection of itself. Normally, the army camped on the outskirts of the city and only entered it at times of danger. It was the city responsibility to provide, not only, food and accommodation for the royal army and their horses but even arms, bullets and money. Up until 1451, the city was also responsible for the provision of horses and carriages for members of the Royal court, voivodes and other dignitaries. More stressful was the provision of accommodation. Housing had to be found for royal courtiers, ministers to the Seym, ambassadors and other foreign officials, court staff, various commissions, royal dispatchers etc. Over the years, these duties took on an ever-changing aspect or completely changed until they became what they are today. Below the income and expenditure for the three years 1877 (the first year of independent rule), 1887 and 1890. Before we provide you with these figures let us mention the various taxes, unknown elsewhere but levied on Wilno alone. Gate tax - established by King Aleksander in 1505. Tax on food products, timber and hay brought into the city. This tax was used, primarily, for the upkeep of the city gate guards. Each wagon paid a grosz.b) road tax â€“ established by Zygmunt III in 1630. Carts paid 1 grosz (equivalent of 3 today) and this was used to build and maintain the roads. In 1791, both the above taxes were increased. This meant 3-5 grosz was charged for a horse, 5 grosz for a head of cattle and 3 grosz for a sheep or other. From 1805 till 1818 the prices dropped slightly and then increased to 5 kopec for a horse. Moreover, a tax was levied on those which had previously been exempt.In 1821, a new tariff was created and 15 kopecs were charged per horse. Finally in 1846, several articles which had earlier been exempt were levied.c) fish tax“ established by Zygmunt I in 1522. 4 grosz per wagon per annum used to be charged and was used for the upkeep of the market place. In 1824 it was incorporated into the gate and road tax. manure/ carbonization tax - established by Zygmunt I along with the above mentioned.e) lokiec (elbow) tax - established by Zygmunt August in 1536. The last two were paid by vendors selling food products and other small articles on markets, streets and courtyards. alcohol tax set up by the Constitution in the years 1766, 1775 and 1789. This tax was levied on imported and local alcoholic beverages the proceeds of which went to the treasury. This state of affairs remained until 1811. Decrees passed in 1810 and 1811 changed this and the tax became twofold, tax on imported alcohol and excise duty on the locally produced. The entire proceeds from the first and 1% of the second were given to the city and the remaining 99% were turned over to the treasury. lopatka (shoulder-blade) tax - established in the suburb Antokol in 1798. Butchers pay 30 kopecs for every heed of cattle and 5 kopecs per sheep and other smaller animals.) weight and measure tax â€“ weighing and measuring of wares and products on the city public scales) accommodation tax - 3% of the annual rental income The city’ income is not exact. Some income is an approximation and some depends on the competition during auctions. The citys’ flexible budget is prepared annually. Income from resources belonging to the city:1) properties and inns rented out on fixed time basis. 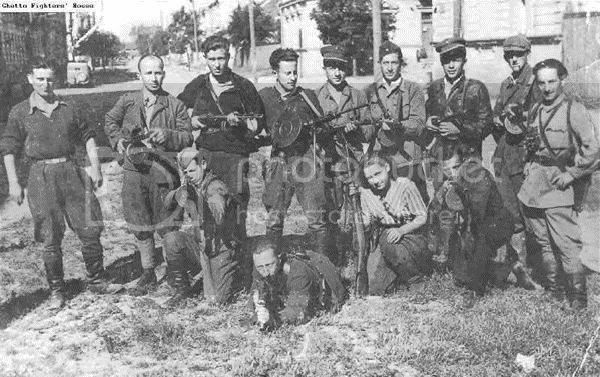 Liba Mahrshak fought as a partisan from the Vilna ghetto. She met her late husband, David Augenfeld, also a partisan, and eventually came to Montreal with daughter Rivkah in 1948. I was born and raised in a secular Jewish home in Vilna. My father Israel was born in Vilna in 1895 to Reuven Hirsh and Shula. My mother Sara Dina was born in Vilna in 1895 to Leib and Rachel Sofer. They were teachers in the school named TZ”BK, (Central Committee of Education). It was part of the central Yiddish school organization. Later on, my father was appointed as the head of the school named for Liza Gurevich, and my mother returned to school and became a certified nurse. She was a nurse until the German army entered Vilna. I studied in the elementary school named after Sofia Gurevich. On Sunday morning, the 22nd of June, the first bombs fell in Vilna. At that point, we were still preparing for our graduation ball that for us symbolized the end of a chapter in our life and a new beginning. This new beginning came, but it was not what we had expected. The minute that Germans entered Vilna, they started kidnapping Jews in the street and staged pogroms in different parts of the city, like Snipisiuk and Novgorod.. There was a most awful pogrom in the heart of the Jewish neighborhood. The epic of this pre-ghetto period was when the Nazis cleared the streets Straszuna, Shavlaska, Rodnitska, Yatkova, Glaser, and others, of all Jews. Some were transferred and others killed. 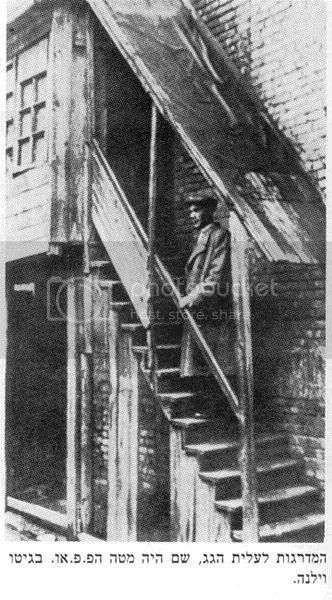 Out of these streets they started making a ghetto, including Glazer, Yatkovka, Jewish Streets. Parts of Gaon street were used to make the so-called “Little Ghetto” or #2. 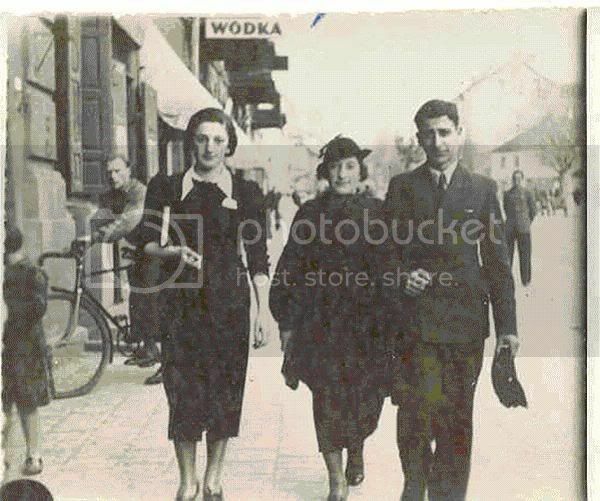 Ultimately, the streets Straszuna, Shavlaska, Disinienska, Svetlana, and part of Rodnitska all became part of the big ghetto, or First Ghetto. Much has already been written about orders and rules that took all rights from the Jews, so I will not dwell upon them. I myself started working at the children's home, which was really an orphanage. Where did these children come from? The first ones arrived from an orphanage in town - all the Jewish children who had lived there were expelled. Let me give you a short history of the place. When the Soviets came to Vilna in 1940, they united all the orphanages in town, and all the Jewish children were moved to one orphanage. 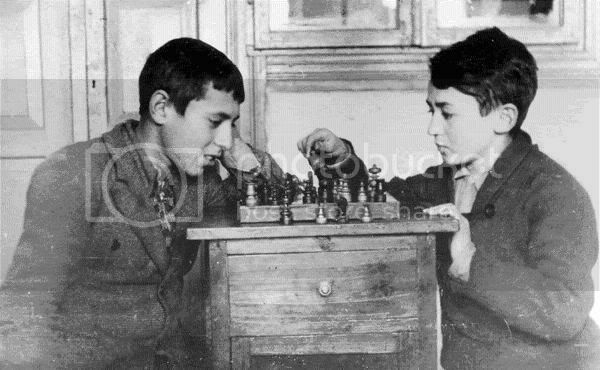 As soon as German conquered Vilna, they did the opposite: they made the general orphanage Jew-free, which is why many Jewish orphans arrived in the hospital. In the confusing days that the ghetto was first established, there was nowhere for them to go and nobody to take care of them. The children were pushed into two rooms at the edge of the building, in what used to be the department of infectious disease, and they were practically left there all alone. I felt bad for the children and started working in the hospital, or, as it was known, Zlubek. I soon found out that my friends who worked there for two days could not stand it and escaped from there. I was tempted to do the same but my father talked to me and convinced me to keep working there, saying it was better than washing floors for Germans. He said I was doing a much better deed by washing the floors for orphaned Jewish children. He was right, however what I first saw when I came there was impossible to describe, the sight will never leave me. The children lay in beds without mattresses or pillows; they didn't even have hay-sacks. Six children lay vertically crammed into each bed; they did not have any sheets but only some green vinyl material. They didn't even have any rags. They lay for hours in absolute filth in their own excrement. They would stay like this until someone would come and wash them. But even this did not last long, as one would encounter the same picture a few hours later. I was only eighteen, but I forced myself to return each day. In order to work at this type of job (for eight hours a day) you really needed strong willpower. The children would scream continuously every time we took them to wash or move them to clean the place. After some time, it was as if we did nothing - everything returned to the same disarray anyway. Everyone who has been to the Jewish hospital in Zemlanka street knows that the main entrance was closed off by a impenetrable fence during the war years, since from there, one could leave the ghetto. So now the entrance was in the gate on Spetlina Street. At the entrance to the gate, on the right, was the pathology ward. On the left was a big hall. This hall was now given to us for the orphanage. Slowly, we cleaned the place: beds were brought in, and sheets, and nurses and teachers started working there, and the children received some rudimentary treatment. Due to the horrible condition that the children experienced during the first weeks there, many had stopped talking or walking. They became accustomed to sitting for hours in one place without moving. We put a lot of energy into getting them to say but one word, but most of our time was spent with them encouraging them to walk and act like children...During the entire time of the existence of the ghetto, which was two years, we were never able to bring them to a stage of childhood normal for their age. After a few months, the children were moved again. This time, it was a large and comfortable building in Zvelana Street. I don't remember the number, but I recall that when we came from Svitalna Street, the building number was 3. This building was once the syagogue of Rabbi Shaulke. This Beit midrash where the stage had stood now was the dinging hall, and the place where the children played and studied. In the synagogue area, where the women used to sit, we arranged a sleeping room for girls. The boys slept in smaller rooms to the side. we also organized a kitchen and a laundry area. Life began to take on a dubious sort of order. All the children started attending schools in the ghetto and the little children had nursery school teachers inside the institution. Very quickly, the core group of children enlarged. During each action, parents would bring their children to us thinking that if they would survive the action they would take the children back. Sadly, only rarely did the parents survived. I saw many heart-tearing moments when the little children would run after the parents screaming but, to our great sorrow, we could in no way aid this situation. It was here that I met Zlata, the wife of Yehiel Borgin. She started working there while she was still on the Aryan side. But when living on the Aryan side became very perilous, she moved into the ghetto. Here, she encountered very difficult conditions. As the number of children in the institution rose, two other children’s' institutions were established for children over 14. They took from us all the children over 14 and we were left with the younger children. I don't want to give a detailed account of daily life in the ghetto. This, too, is something that much has been written about. I will say that I lived in a very crowded condition among those friends and comrades who had survived the actions. As I mentioned before, we only recently had graduated, so we were very close to each other and made sure to meet every night. We knew to detail whatever was occurring with each one of our friends. Together, we went to literary meetings in the ghetto, and sometimes we even went to concerts. We hardly met any new people. We did not try. Life continued like this until we found out that there was a resistance movement in the ghetto - the FPO - and many of us joined this movement. This was a period when morally our spirits lifted and we were excited to be part of a resistance, despite the horrible conditions in the ghetto. This commitment to resist and be part of a movement gave us support and enabled us to survive the impossible conditions. In spite of the fact that many of my friends belonged to the FPO, we never talked about it amongst ourselves because we did not know who was a member and who was not. We could only assume that some one else in the group was a member. Aba Kovner became the head of the FPO after the death of Vitenberg. During the onset of the FPO, everything was underground, and people never met in large number, although there was an occasion when many of us sat in a room, and suddenly people stood up and went in different directions, nobody knew where they went. We met in small groups of five to exchange information or participate in missions. When I first came and asked to join the movement as a member, I had to come for an interview with the members of the headquarters, whom I did not know. I was very excited; I don't know if I can truly describe the feelings I had; I was 18 years old. I knocked on the door of Oshmani Street 8 and was faced with Aba Kovner and Yosef Glasman. With my friends, I expressed very articulately the importance of resistance to the occupiers, but here, I had to talk to strangers, and convince them that I was worthy of being a FPO member. It's hard for me to now remember the details of the conversation, although I remember that after many months, I met Josef Glasman, one of the leaders, and he told me that after I spoke his heart broke and he cried like a child. Yosef Glazman- he was killed while fighting in Naarutz forest in 1943. 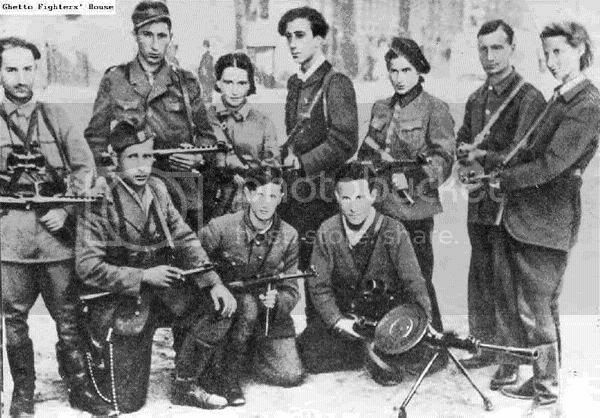 In Vilna, we heard the details of the revolt of the Warsaw ghetto, and we imagined that soon enough this would be our fate, and we would fall in battle in the Vilna ghetto. On July 16, 1943, during the night I worked at the orphanage. Every third night, I would stay there. When you took the job, it was mandatory that you stay there for twenty-four hours. I was awake. Actually, in the ghetto, even while you slept, it seems as if you always had one eye open to make sure that nothing awful was happening. For me, especially, with the responsibility of all these children, I could not sleep. Around midnight, I heard someone running on the outside steps. Since it was a summer night and it was very light, when I looked I immediately recognized little Bashka, a member of a Zionist Socialist Movement (Hashomer Hatzair). Bashkale, whose last name I do not remember now, was killed after her escape to the forest. She was a member of the partisan unit named for Prachomenko. They say that she was killed by friendly fire when one of the partisans cleaned his weapon. Back in July 1943, she was a dedicated contact for the FPO. I knew that she was a contact, and I also knew that Tsvi Tzipilevich lived in a near- by yard In that building lived an entire kibbutz / commune that belonged to the Chalutz. I understood that something was occurring in the ghetto but did not know what. The orders were that in any case of instability, I must come to a meeting place of the FPO. But how could I leave the orphanage at an hour when I was the only responsible adult and the whole orphanage was under my care! I could not decide what to do. Luckily, after some time, the head of the institution entered - Manya Levi. She was a wonderful person. Before being a teacher in Vilna, she had spent many years abroad. I knew her well because she had been a good friend of my mothers. They had studied together in the same grade of the gymnaisium. Now she lived in an orphanage. As she neither married nor had children, she put all her love and toil into taking care of the children. When she walked through the rooms they hugged her and held on to her, following her out of their great love. When she entered the room where I was, I was ready to take my uniform off and run. Before leaving, I said, "I must go." She said, "I understand. Go. I will stay here and watch the children." I left and quickly walked to Nemiacka Street 31, the place we had decided ahead of time would be our meeting. On the way there, i met a runner who had been sent to me. He told me that the code world for the FPO was 'liza is calling.'. This was chosen to memorialize Lisa Magon, who was with the partisans and killed on a mission to the Arian side. This code word indicated that everyone meet at a certain place. I now understand that the real meeting place was at Straszuna 6. I arrived there and met others but nobody seemed to know what had occurred. Then we had to go to the alley on Oshmni 8, where the headquarters of FPO stayed. Some other comrades waited in the yard of the library. We stood in the yard for a few hours. Sometime in the morning I was given a paper with a song lyric on it: "Do not say that this is my last road." During that day, we really thought that these were the last hours of our life. We did not know if the mass number of ghetto residents would revolt with us or give up and not fight. We believed that the Germans would enter at any moment. I don't have to tell you know these tragic events concluded. Wittenberg was supposed to give himself over to the Gestapo, and not by the orders the FPO but by orders of the main headquarter in town. After we spoke and argued for a while, we saw Wittenberg leave the ghetto to give himself up. The next day he was dead. The week to follow was filled with nervousness. It was a week of painful guilt and heartbreak. The depression and hopelessness was hard to endure. It became clear to us that a big group of Jews who were members of the underground had become exposed to the Germans during this event and they must leave the ghetto. Since it was large amounts of members of the resistance they started arguing about who should leave from each party, how many should go and so on. The first group to leave the ghetto left on July 24, but David will tell about that since he was with this group and he is amongst the very few who are still alive today and can tell the exact details. The next day, we were all filled with fear. On the second day, we learned the awful news that the Germans lay in wait for them. The Germans found some of their IDs, so they collected all the family members of the people who's IDs they found and killed them. In the ghetto I was registered as the wife of a classmate who was in this group. When I arrived at work the next day, not knowing what had happened, I found my friend looking at me with a horrified stare. The Gestapo had found the ID of my friend, and they were sure that I had been shot. It was only a miracle that I was not shot that night. There were two reasons as to why I was spared. Firstly, the person who wrote the list in the Work Office knew me personally, and second, my address is not the same as the address of my “husband's”. It was easy to skip me on the list. Father was able to arrange for me a new ID, but this cost a lot of money, so now next to my real name they wrote that I was dead. I received a different identity. The few months between the time the first group left the ghetto and the time it was liquidated were filled with anxiety. Jews from the region were being transferred to the ghetto and from there many of them were sent to Estonia, and on September 1st, the ghetto was surrounded, and they started kidnapping people and sending them to Estonia. The ghetto was isolated and nobody could come in or go out. The Four Day Action marked the beginning of the end. Early in the morning, when we found out that the Estonian divisions surrounded the ghetto, no one was allowed to leave to go to work. The members of the FPO ran to the meeting-place on Nimiacka Street 31. On the way, they ordered the fighters of the second battalion, to gather on Svetlana Street 8. From the yard we could transfer to Stranszuna Street. After a short time, we all gathered in the yard. Behind us, near the windows, stood containers with Molotov cocktails and light-bulbs filled with pyre devices. We did not know what to do, and we waited for the commanders to give us orders. Before we could even think much, a group of Nazis, headed by Niaga Borin, entered, and he started a speech. He said that all of us were being sent to camps, and that the ghetto would not exist any more. He suggested that all the women go and arrange for bags for the men to take. He spoke to us very peacefully and gently, and a group of men left the ghetto directly to the train, where they entered train cars and were truly sent to Estonia. We, the women, and some men who escaped stayed in the yard embarrassed and heartbroken.. We were ready to revolt. Many months we waited with nervousness and anticipation the fight, and here, when we stood face to face with the enemy, we let them once again cheat us. Now that there were very few of us here, it was clear that it would be senseless to start a revolt in such conditions. We stood in the open yard without weapons, but still, it did not reduce our pain and embarrassment. Meanwhile an order came to go to Straszuna Street to buttress the empty apartments and wait. A few hours later we were transferred via the yards in that street near the library, and there we waited for four days. These four days were filled with anticipation and nervousness. We did not know what has occurring; we only knew that Germans had opened fire on Straszuna and some leaders, like Yechiel Ilya Sheinbaum, (pictured below) and one of our friends from high school, Chaym Napoleon, were killed while returning fire. We waited for information or instruction about our escape to the forest. I was sent to one of the gates on Zavlana Street to see if there was any instruction, but I waited there for a few hours and nobody arrived, so I returned empty-handed. During those days they took my father to Estonia and I did not even have a chance to say good bye to him. I walked around crying without consolation; I totally lost all self-control. At home or in the street, tears kept falling and there was nothing I could do. I was very conflicted. I could not make up my mind about what to do: should I try to escape and leave my mother? Should I stay in the ghetto and wait for the fate that would surely come to all of us? The decision was taken away from me as soon as my mother found out I had the opportunity to escape to the forest and I could not make up my mind. She came to me and said very determinedly, "go, You might survive." At that point we did not really think that anyone would survive. We were sure that we would fall in battle, but the determination of my mother and the blessing that she gave me remain in my memory as a shining memorial of the awful moment that I had to leave her. We left the ghetto Sunday evening, the 12th of September, 1943. I was with the second unit of the FPO that was sent there. The first unit was taken by Alexander; our unit was headed my Moshe Rodnitski. Immediately, as we left, even before we all met in the suburb, we already lost one person. He got lost on the way and instead of going to the forest, he encountered German guards and was killed. The road was very difficult. Our unit contained over thirty people and more than half were women. We had but few weapons, and our scout many times did not know where to go. It happened that sometimes after we had walked for the entire night we would return to the same place we had started from. We had to cross The bridge over the Valinka river where the first unit encountered the German blockade. We did not use any rules of resistance fighters in crossing. We crossed it running, not using even minimal discretion. This was night time, and the only sign that we had to prevent us from getting lost was a little piece of pig-hide thrown there when our scout came to meet us in the ghetto. This was the only sign for us that we were on the right road. But we were very lucky in finding it and after we had walked for seven days we arrived at the forest without encountering any Germans. 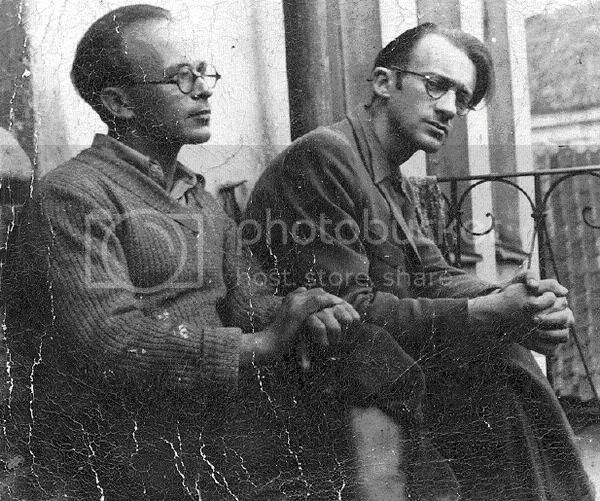 Avraham Sutzkever and Shmerke Kaczerginski, members of the Jewish underground in the Vilnius ghetto. 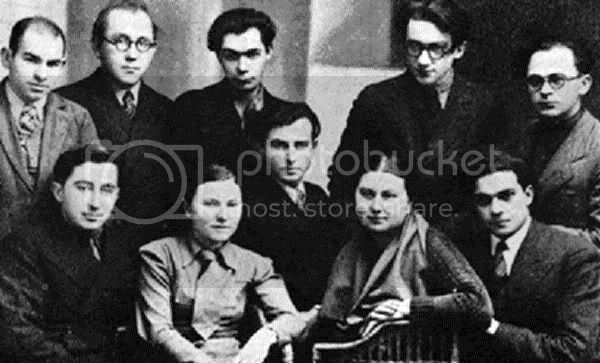 With me were Avraham Sozkover, his wife Vitka, the author Shmarke Katzerginski, Galika Yankelevich, Firka Landau, and others I do not remember. When we arrived to the first partisan village, and we could walk there during daylight, our happiness could hardly be described. We entered the base of the division Nekama/Miest, or Revenge, and we encountered many of our friends from Vilna and felt great. Tragically, this happiness did not last for long. Yosef Glasman greeted us with these words, "my comrades and friends, I am very happy to see you, but I'm also very miserable that you arrived here because we sent an order to the ghetto but it must have been that you did not receive it. We announced that all the groups must go to the forest of Rodniki and there we would build new partisan bases." He hugged and kissed us but said there wasn't much he could do for us here. After us, there were a few other groups to arrive from the Vilna ghetto; some members from the FPO but also others whom I did not know. Yosef Glazman shortly left, together with a group of members of the FPO. He joined the Lithuanian partisans, from where he was supposed to go to the Rodnicki forest. We were very sad that we couldn’t join them. This occurred during the week when the Germans staged a blockade and Glasman with his group of 35 people were all killed while fighting the Germans. The blockade in our area only started when we were five or six days in the forest and we were still unfamiliar and inexperienced and did not know what we should do. We were left in the forest without anyone to advise or help us. We did not know where to go. Vlodka Saulovich, who was the head of Nekama, took his division from the base very late, on the second day, as his wife had started labor and he had waited for her to deliver. When he finally organized his division to move, we tried to join him, but he dismissed us cruelly after having taken all the weapons we had brought from the ghetto. He now used the weapons that we had risked so much to get. He drew one such weapon, pointing it at us, and said that he would kill us if we tried to follow them. So, we returned to the abandoned base and all gathered, becoming one group: members of the FPO from Vilna. We started wandering through marshes and swamps. Together, we survived the period of the blockade in the only way we could. I would like to here end this chapter of my life by saying that I lived in the forest for a year. On the 24th July 1944, we returned to Vilna after the Red Army liberated the town. Yitzhak Witenberg, the leader of the partisan movement during WWII. JewishGen Lithuania Database - This is a multiple-database search, which incorporates the databases containing over 300,000 entries from Lithuania. This is a multiple database search facility which incorporates all the databases listed: JewishGen Family Finder JewishGen Family Finder, JewishGen Online Worldwide Burial Registry, Yizkor Book Necrologies, HaMagid Lithuanian Donors 1971-72 and much more!. For more pictures of Vilna, click here. Watch a Virtual Exhibition on the Gaon of Vilna. Watch a movie about Vilna from the year 1939. Search the New York (all: 1820-1957), Baltimore, Boston, Galveston, Philadelphia, San Francisco, Hamburg Outbound, Canadian Border Crossings Passenger Lists. Jewish Community of Vilna; The Solly Yellin Center of Lithuanian Jewry. The Central Database of Shoah Victims' Names. The Vilnius (Vilna) Kehilalinks webpage was created by Joel Ratner and maintained by him through 2004. We thank Joel for his past efforts.